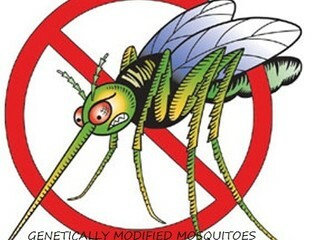 Right now, a British company named Oxitec is planning to release genetically modified mosquitoes into the fragile enviroment of the Florida Keys. The company wants to use the Florida Keys as a testing ground for these mutant bugs. Nearly all experiments with genetically-modified crops have eventually resulted in unintended consequences: superweeds more resistant to herbicides, mutated and resistant insects also collateral damage to ecosystems. A recent news story reported that the monarch butterfly population is down by half in areas where Roundup Ready GM crops are doused with ultra-high levels of herbicides that wipe out the monarch’s favorite milkweed plant. What about our native species of Florida Keys Bats. Are there any studies being conducted to see if these mosquitoes will harm the native bat population? Why would we not expect GM (genetically modified) insects, especially those that bite humans, to have similar unintended negative consequences? Will the more virulent Asian tiger mosquito that also carries dengue fill the void left by reductions in A. aegypti? Will the dengue virus mutate (think antibiotic resistant MRSA) and become even more dangerous? Dengue fever has been absent from Key West since 2010, which indicates the current methods of control and public education are working. What’s the rush for this radical approach? Where is the third-party, peer-reviewed research on effectiveness and safety of GM mosquitoes other than Oxitec’s own claims of success? Don’t let Oxitec bully our community! 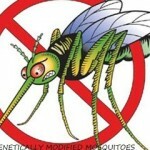 We say no to genetically modified mosquitoes in the Florida Keys!